Edda Collins Coleman is a Co-Founder and former Chief Public Affairs Officer of All In Together. She currently serves as Head of Strategic Partnerships for the CSpence Group in San Francisco, CA. Collins Coleman also serves as an advisor and angel investor to tech startups in the San Francisco Bay Area. Collins Coleman’s background is largely political and includes serving on the staff of Virginia Governor Mark Warner, the Democratic National Committee, America’s Health Insurance Plans, the American Academy of Pediatrics, Hill+Knowlton Strategies and Polsinelli Law Firm, where she focused on engaging Congress, building advocacy groups and partnership development. An award-winning strategist, Collins Coleman is the recipient of the Women in Government Relations 2013 and 2014 Co-Chair Recognition Award for Outstanding Leadership, the 2014 RollingOut Magazine’s Female Success Factor, the 2014 Hello Beautiful 25 Women to Know: Crusaders in Healthcare, the 2014 Northern Virginia Alumni of Hampton University 35 for 35 Award, and the 2016 BMW and MADE Magazine Pay it 4Ward Award. A member of Alpha Kappa Alpha Sorority, Incorporated, Collins Coleman has participated in giving back to her community and civic engagement her entire life and continues doing so with her most recent appointment to the Facing History San Francisco Advisory Board, as well as serving as an Ambassador and member of the 2015 Society for the Smithsonian National Museum of African American History and Culture. Edda was a gubernatorial appointee to the Virginia Foundation for Healthy Youth where she served on the Board of Trustees for a decade and was appointed by Governors Mark Warner (D), Tim Kaine (D) and Bob McDonnell (R), respectively. She also served on the Board of Directors of the Sickle Cell Disease Association of America and the Board of Directors for Women in Government Relations. 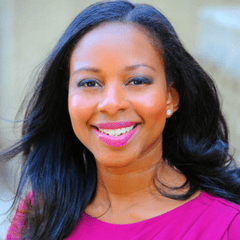 In addition to keynote presentations at James Madison University, American University, the Mom2.0 Summit, and the Virginia Women’s Conference, Edda has written for the Huffington Post, the New York Daily News, Refinery29, OZY and The Hill. Her insights have also appeared in media outlets such as Forbes, Digiday, Sirius XM, and the DailyWorth. Edda is a former adjunct professor in the School of Communications at American University, holds a B.S. in political science from Hampton University, a Masters in Communications from Georgetown University and is a graduate of the Sorensen Institute for Political Leadership at the University of Virginia.